The tall trees in this picture aren’t dead although they look like snags. These are Bald Cypress. Unlike other cypresses they lose their leaves annually. Even in Florida in years when there is no frost. It’s just part of a natural cycle. While they are bald, they make great roosts for Woodstorks who prefer high roosts. In the foreground, you can see one of the marshy areas of Circle B Bar. 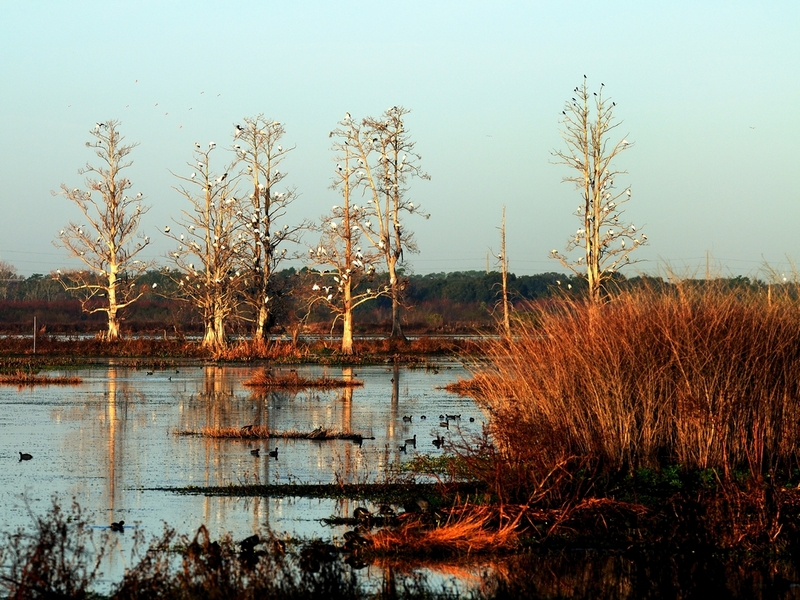 The water and reeds was filled with Coots, Common Moorhens, Black-bellied Whistling ducks and a host of others. Look closely at the top of the tree and you will see where the Anhinga like to sun themselves. 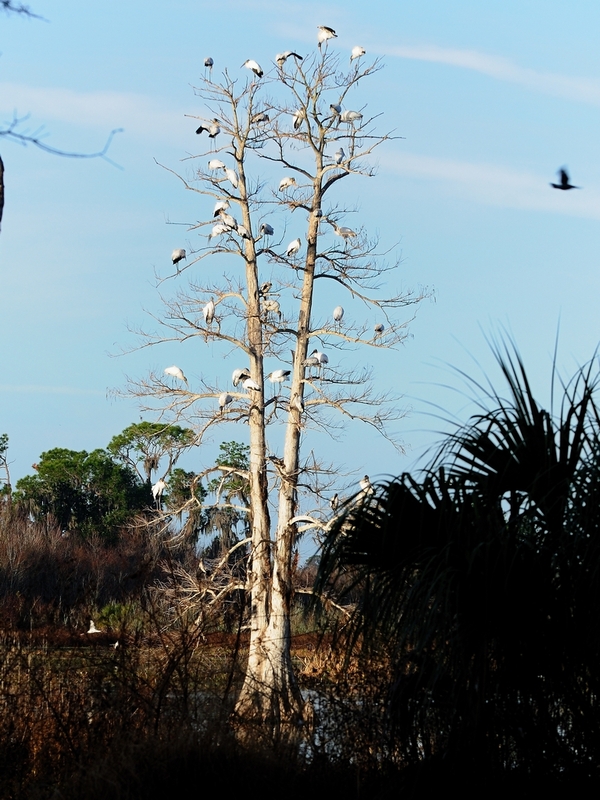 This entry was posted in Bird, Park and tagged Circle B Bar Reserve, Photography, Woodstork. Bookmark the permalink.